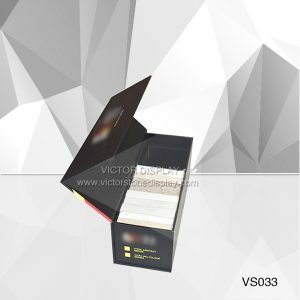 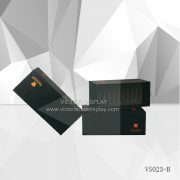 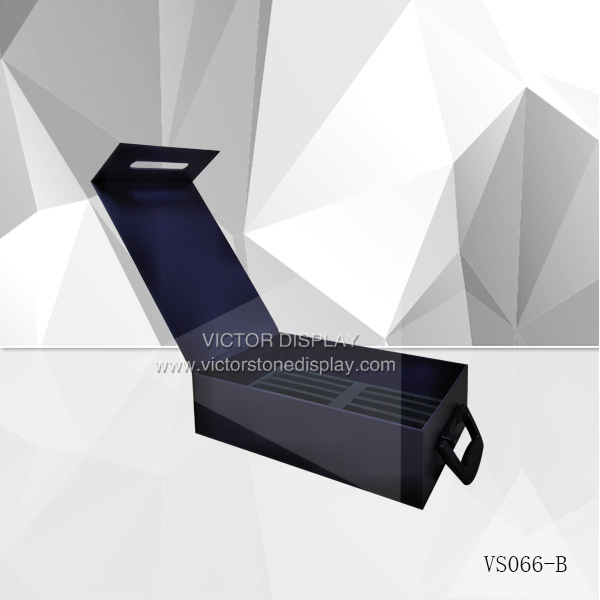 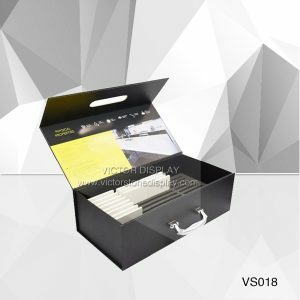 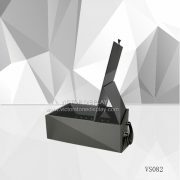 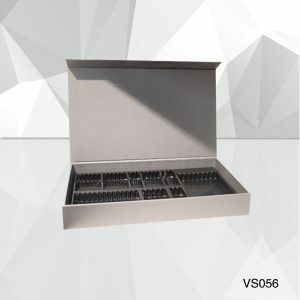 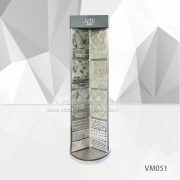 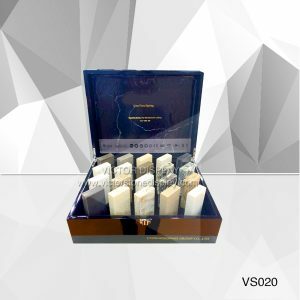 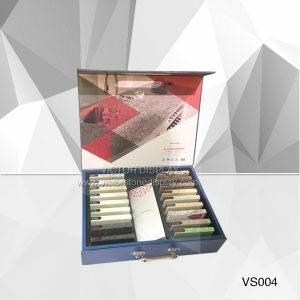 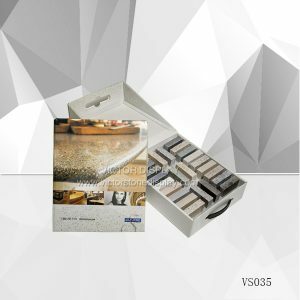 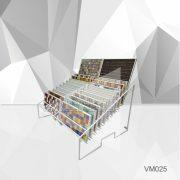 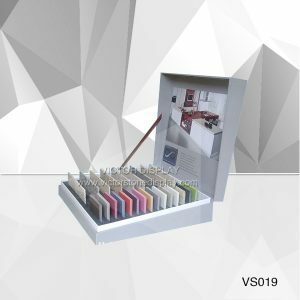 Both the outside and inside of the VS066-B Stone Tile Display Box with offset printing and matte finish. 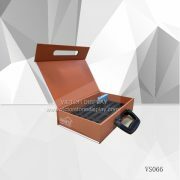 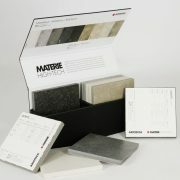 The inner box contains a die-cut foam for presenting the natural stone samples in the upright position. 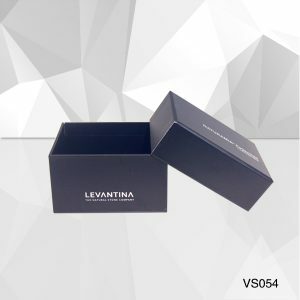 The box carrying a brown fabric that allows the lid to remain upright once open the sampler pouch. 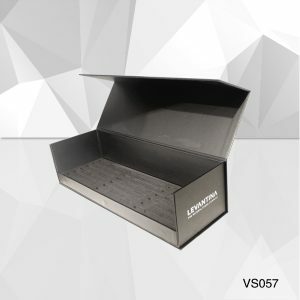 Box comes packaged in an 5-layer carton box for protection during shipping.